01 Night at hotel in Cairo based on BB (Bed & Breakfast ) . Meet & Assist upon arrival & departure (After passport control ). 02 Transfers Airport / Hotel / Airport . 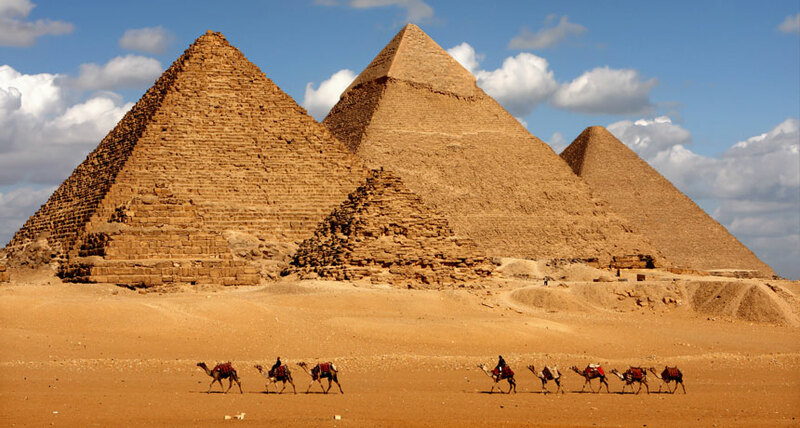 Half Day tour to visit Pyramids & Sphinx . Entry visa to Egypt . Drinks & Mineral water . Any other services not mentioned . 3* Hotel: Aracan Pyramids , Indiana , Santana , St. George or similar. 4* Hotel Pyramids Area : Cataract , Barcelo , Grand Pyramids or Similar . 4* Hotel Down Town:Om kolthoom ,Triumph , Baron , Steigenberger El Tahrir or Similar . 5* Hotel Pyramids Area:Cairo Pyramids ( Ex Movenpick ) , Le Sphinx , Le Meridien or Similar . 5* Standard: Le Meridien Heliopolis , Concord El Salam , Sonesta or Similar . 5* Deluxe Down Town: Grand Nile Tower , Fairmont Heliopolis , Semiramis Intercontinental or Similar .